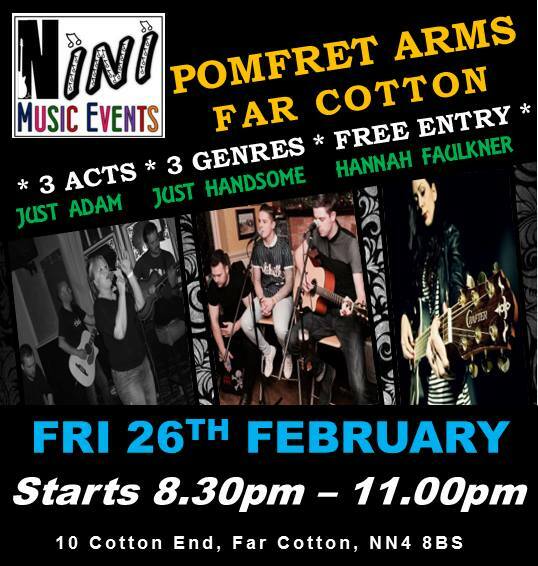 Acoustic sets from Hannah Faulkner, Just Handsome and Just Adam. The ever popular Hannah Faulkner returns to the Pom to play her classic mix of acoustic numbers. This time she will be joined by Just Adam and Just Handsome.